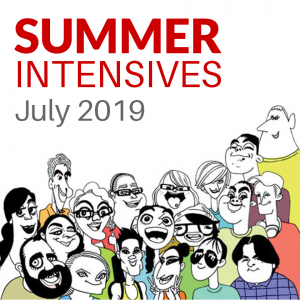 VanArts is excited to announce our line-up of ONE-WEEK SUMMER INTENSIVES in July 2019! Each course runs for 5 full days (Monday to Friday) for an intensive, fun introduction to the careers we train for in our one-year professional diploma programs. Talk to an Admissions Advisor about how these courses can be credited towards full-time studies at VanArts. For ages 16 and up.